Hello, sweethearts! 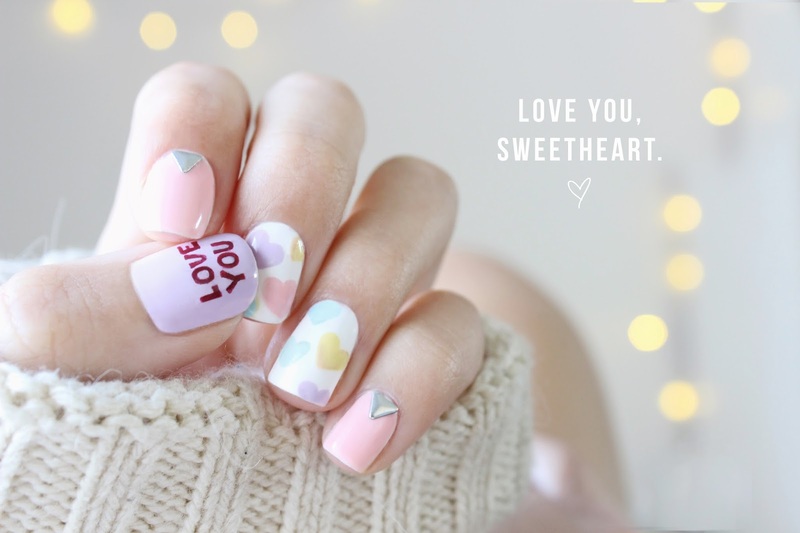 This is a sweet little Valentine's Day manicure inspired by the Sweethearts candy. This took a while considering the brush I was working with could not draw a consistent line for the life of me but in the end it turned out fine! 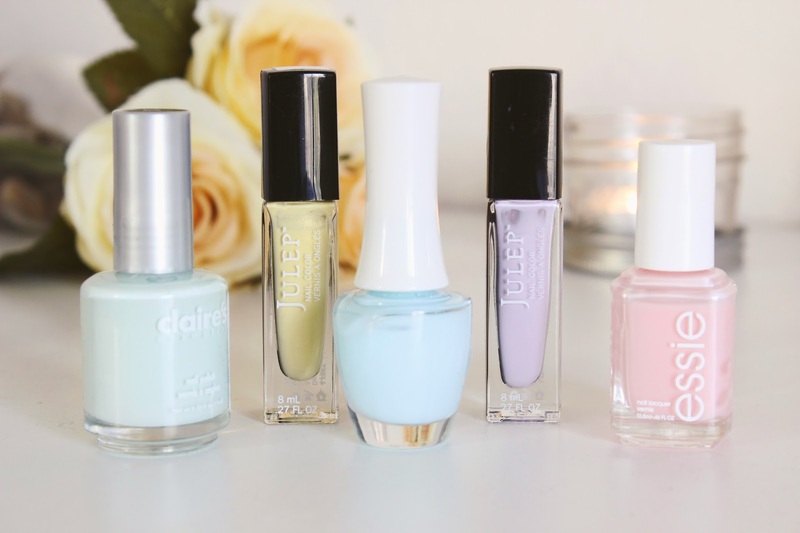 If you have time to spare, this would be a cute little mani to wear on the 14! First of all, I started off with a basecoat followed by white on all my nails. When the white dried, I layered pink over my pinkie and index nails. I started using my homemade dotting tool to create the hearts as the pink dried and then started on the "LOVE YOU" text on the thumbs. Doing this on my left hand was tricky. I suggest having someone help you with this unless you're like amazingly gifted with both hands. If so, props to you! I'm jealous. After all that, I applied a topcoat and applied the studs when the topcoat was still wet. 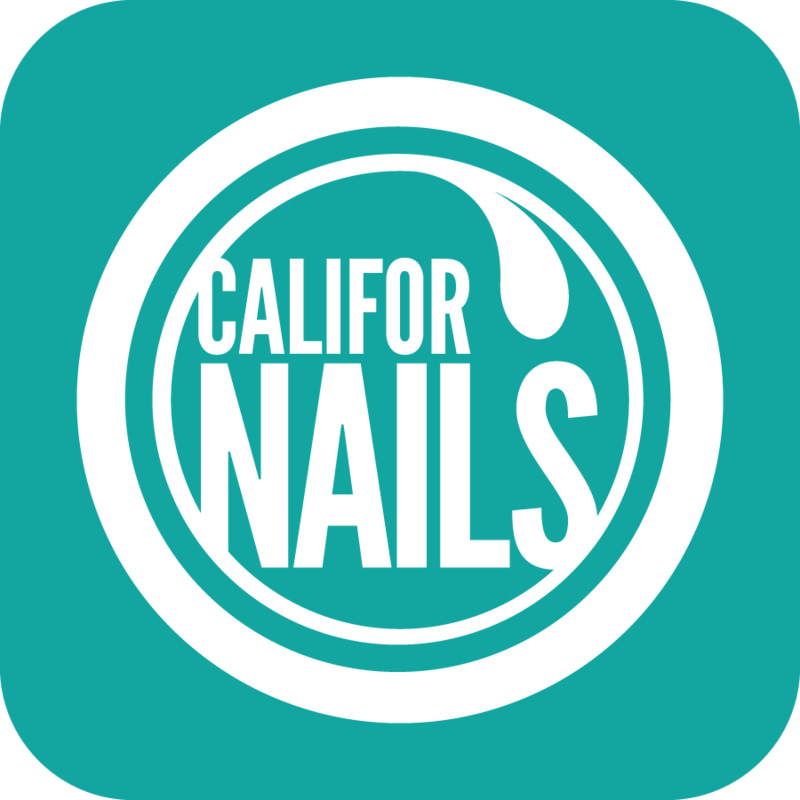 If you recreate this send it to me using the hashtag #lookcalifornails! I hope everyone has a wonderful Valentine's Day whether it's with your significant other, surrounded by friends and family, or relaxing and taking the lovely day all in. Enjoy!